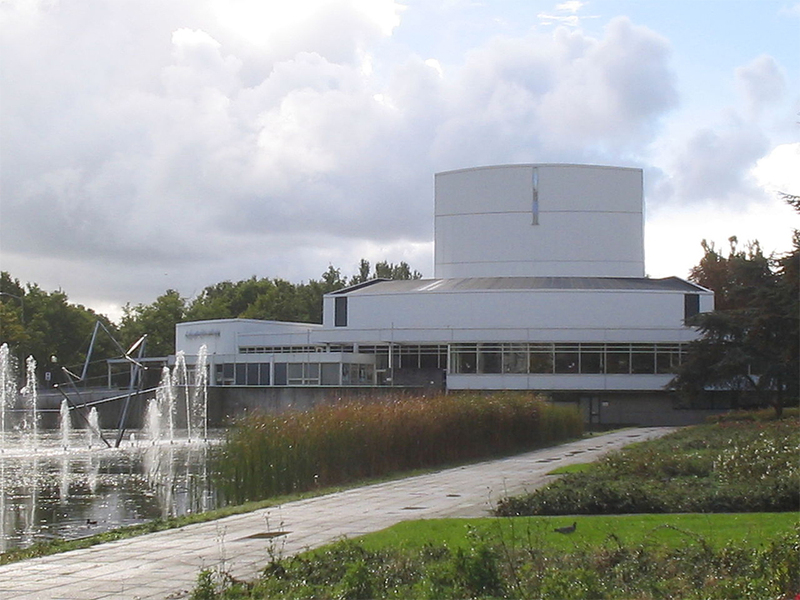 A impressive theatre next to a lake in the middle of a park in Rijswijk, a small town that merges into Delft at one end and The Hague at the other. The theatre has a 700 seat main house and two smaller spaces with 127 and 240 seats. A mixed programme of events.